I just didn't feel well and wasn't in the mood of blogging that day. I'm just going to keep using them throughout summer! And here we go to my fashion favorite of the month and it is this little black bag that I got from Forever21. As it can just match with whatever I wear, I almost use this everyday since I've bought it. You guys will see it in my next two outfit posts because I just love this babe too muchhhh! Confession: I shop way too much in Forever21. Moving on to my random favorites, first of all, they are the jewelry holder and the white basket I got from the $12 shop. I use this as my agenda/notebook/sketch book and I jot down inspirations with it. 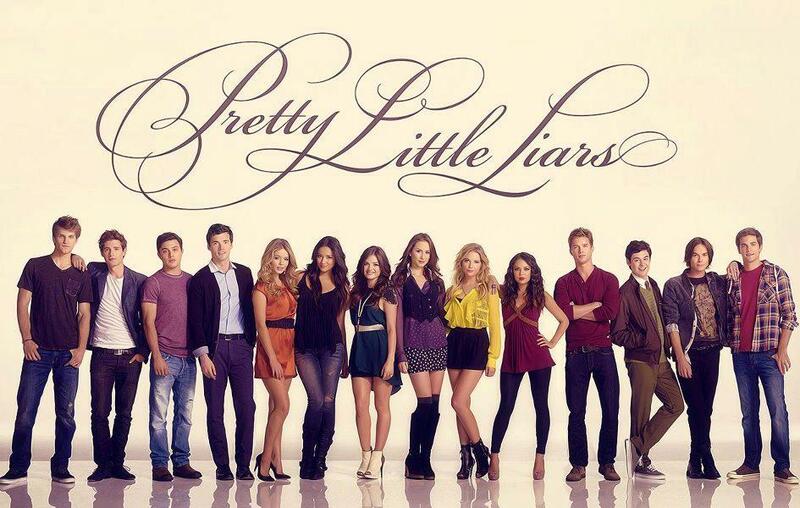 And here comes my favorite in all of my favorites this month, PRETTY LITTLE LIARS!! I started watching this show in July (I know I'm late but better late than never) and I'm OBSESSED! The style of the four girls is just incredible and it is so exciting to watch! me tooooo! just wondering who hates the girls so much that he/she has to mess with them! The sling bag is my favorite!